Nigeria captain John Obi Mikel has denied media reports that he donated $30,000 to assist his cash-strapped teammates in the country's Olympics team. 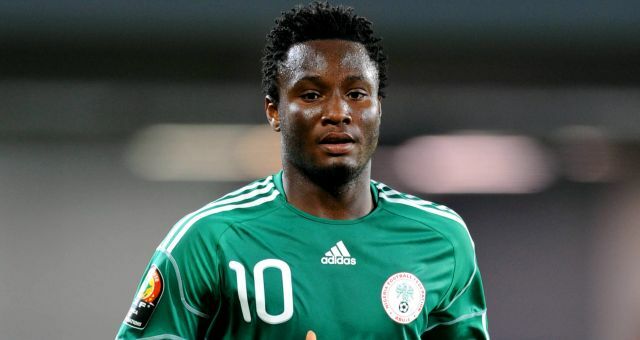 The Nigeria under-23 squad, together with select overage players like Mikel, are training in Atlanta ahead of next month's Olympics in Brazil. Reports on Thursday claimed that Mikel had pitched in with the money to assist the team, but the Chelsea star told ESPN FC there was no truth to them. "I was first told of this story by a friend who called me from Nigeria," Mikel said from camp at Hyatt Place. "I thought he was joking until he sent me the link. "I don't know the source of this story, which to me is all out to divide us as a team. I would have thought that stories that should be coming out in the media are stories that will unite the team instead of dividing us. "Our target in Rio is to excel, but if they continue like this, then I wonder how we can be united. "To me, this is just mere distraction that won't help this team going into a major tournament like the Olympics." Nigeria will face Japan, Sweden and Colombia in the group stage, beginning Aug. 4 in Manaus.